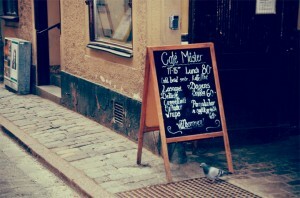 Café Mäster is located pretty near Stortorget (The Great Square). 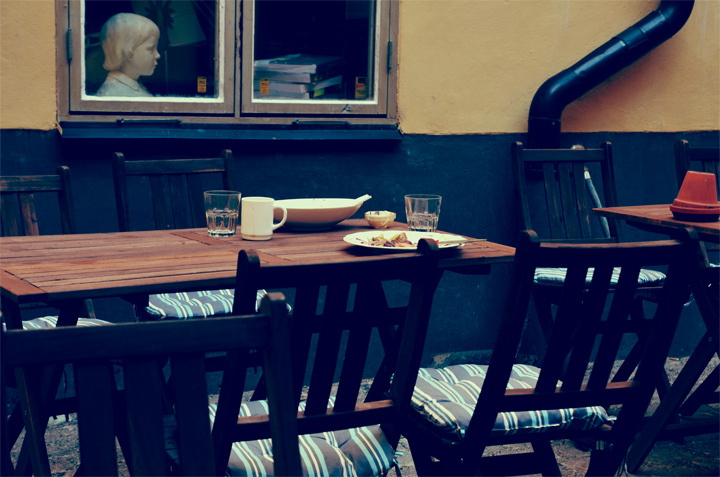 The cafés refreshment room looks like a cozy living room, with no furniture´s looking the same. You can also enjoy your refreshments outside.Nice staff and good service. This cozy outdoor place is a big plus. I ate a delizie with ham, cheese and zucchini. The food was relatively tasteful, but slightly insipid. Price: Standard. You can buy lunches (salads, lasagna, delizie and soups) for a cost of 80 SEK. Bread, butter and coffee or tea is included in the price. 69 SEK for pancakes with jam and 35 SEK for coffee latte. You can buy a cup of tea for 20 SEK and normal coffee for 25 SEK. Conclusion? 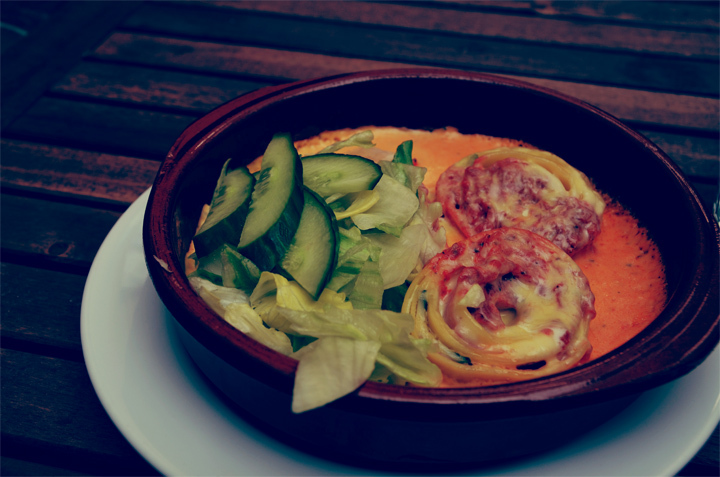 This café will surely not shock you with some taste sensations but it is a decent place with fair prices. You don´t have to spend a small fortune to get a nice meal. Mon – Fri 9 – 18 (during summer time they might close a hour later). Sat – Sun 9 – 20.